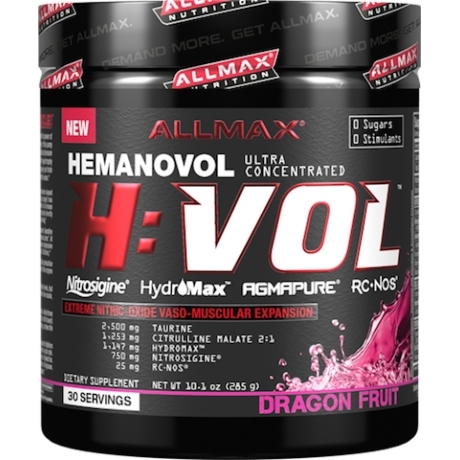 H:VOL is how during intense resistance training creates signals that tell the muscle to grow and the forces of biomechanical pressure and metabolic stress brought about by intense resistance training helps to increase cell volume triggering hypertrophy. Take 1 serving with 4 oz. to 6oz. cold water 30 minutes before workout.